Pomposity relates to the stupidity of the person manifesting it. Arrogance relates to the weakness of the ones surrounding the arrogant. Arrogance is innate, but in contrast to the pompous, the arrogant is smart enough not to demonstrate his arrogance when he meets his match. Prior to the deal reached by Rama and Basha on 18 May 2017, the latter had led an electoral campaign, where his candidates for mayors had obtained 670 thousand votes. Meanwhile, the Socialist Movement for Integration had obtained 260 thousand votes in the local government elections. Under those circumstances, Rama didn’t have the luxury to behave in an arrogant way, although his arrogance is innate. A pre-electoral coalition between the DP and SMI could have been fatal for his post (thanks to the fact that the Albanian electoral system favors pre-electoral coalitions). This explains why Rama promoted Meta to the presidency and winked at Basha, suggesting that a large joint government coalition would ensue the elections. By spreading the word that after the elections, the SP and DP would form a big coalition Große Koalition based on the German model, Rama had a perfidious electoral goal, to hypnotize the right wing voters. The words spread by him were reinforced by the inclusion of 6 DP ministers as part of the pre-election government. On the other hand, Basha did not offer any consistent messages during the June 2017 election campaign. During this campaign, he categorically denied any possibility for such post election coalition with Rama. After leaving some of the most prominent party figures outside the list for parliament, he focused on his quiet campaign filled with economic promises, while attacking SMI and the Party for Justice, Integration and Unity. Meanwhile, Rama toured all over the country talking about “helms” and sharing power with nobody else. Up until today, there have been no statistical figures about the causes that led to a big electoral decline of the Democratic Party, but the evident correlation between the fall in the turnout (by 150 thousand voters) and the 220 thousand vote fall for the right wing, give the impression that the events taken place from May 18 until 26 June last year, was the main cause for this. This enabled the Socialist Party to win 74 seats in parliament, although it only obtained 95% of the number of votes that all left wing parties had obtained in 2013 (excluding SMI and PJIU). With 74 seats won by the SP and the four seats of PJIU and Social Democratic Party, Rama felt powerful enough to manifest his typical arrogance. He started to show his arrogance against the DP, SP and against all the media (even the ones that had usually supported him). Being obsessed by opinion polls, Rama must have certainly hired someone to hold monthly opinion polls. And his opinion polls must have been more detailed than the monthly opinion polls that I carry out for a magazine that is published here in English. A recent opinion poll that I conducted, for instance, suggests that only 500 thousand eligible voters are ready to vote the DP today (the DP obtained 600 thousand votes in 1997, when it could campaign in the south of the country). Meanwhile, my opinion poll showed that SMI obtained 180 thousand votes. So, altogether, they could obtain 680 thousand votes, which are not enough to defeat the coalition between SP, PJIU and SDP. An opinion poll that I carried out several months ago on the main political figures in the country, Basha was 20 points behind Rama and 13 points behind Berisha. I don’t know what results Rama has obtained in his opinion polls, but I’m guessing that they are similar to mine (because the reality measured by the opinion polls is the same). In other words, for as long as he’s convinced that opposition parties (and Basha in particular) have low approval ratings, Rama will continue to mock the audio recordings and the protests organized by them. 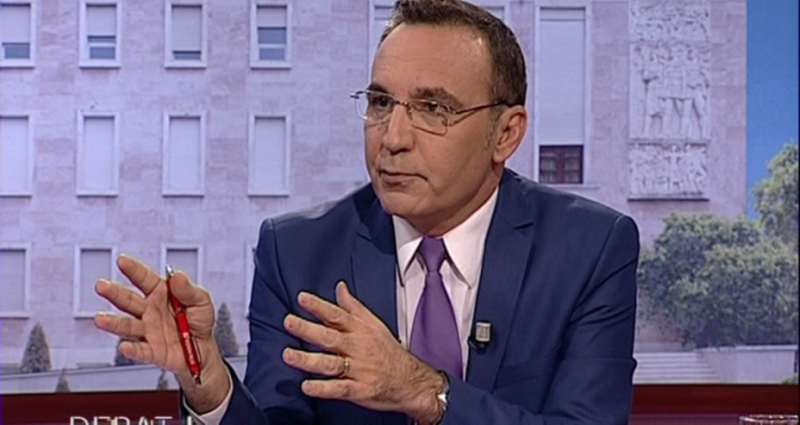 He is not scared of the opposition’s “popular revolts”, because he knows that his government cannot be overthrown by it for as long as western chancelleries demand stability in Albania (he has a good recollection of the 1998 precedent).